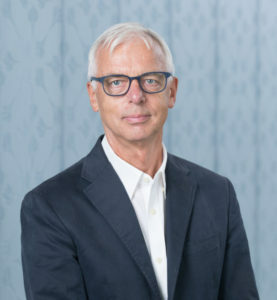 Philip F. Kennedy, the founding Faculty Director of the NYU Abu Dhabi Institute, is Professor of Middle Eastern and Islamic Studies and Comparative Literature at New York University, and affiliate faculty member of NYU Abu Dhabi. 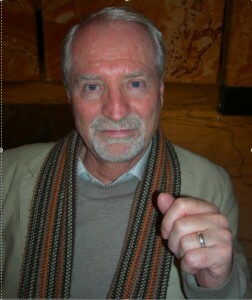 As author or editor, Kennedy has published many writings on Arabic literature, including The Wine Song in Classical Arabic Poetry: Abu Nuwas and the Literary Tradition (Oxford: Clarendon Press, 1997); Abu Nuwas: A Genius of Poetry (Oxford: Oneworld 2005–in the series Makers of the Muslim World); On Fiction and Adab in Medieval Arabic Literature (Harrassowitz Verlag 2004—in the series Studies in Arabic Language and Literature); Islamic Reflections, Arabic Musings (co-editor with Robert Hoyland, Oxford: Oxbow for the E.J.W. Gibb Memorial Trust Series 2004); and Recognition in the Arabic Narrative Tradition: Discovery, Deliverance and Delusion (Edinburgh University Press, 2016). As a student, he studied in Oxford, Cairo, Madrid, Aix-en-Provence and the United Arab Emirates. Julia Bray’s research on medieval Arabic writing combines literary and social history, on the premise that literature is an integral part of the historical process and of historical understanding. She has written the chapter on medieval to early modern Arabic literature for the New Cambridge History of Islam (Cambridge, 2010) and a survey of gender in medieval Arabic writing and modern historical scholarship for L. Brubaker and J.M.H. Smith, Gender in the Early Medieval World (Cambridge, 2004). She has investigated the family history of medieval Muslim men of letters and medieval Arabic biography as a literary form in articles for Quaderni di Studi Arabi (2008) and the Journal of the Royal Asiatic Society (2010), and has written on Arabic autobiography in articles for Essays in Arabic Literary Biography 1350-1850 (Wiesbaden, 2009) and Annali di Ca’ Foscari (2010). Overall, her works tries to map the reciprocities between Arabic writing and the societies in which it was produced, imaginative worlds and individuals’ and communities’ search for meaning and purpose. 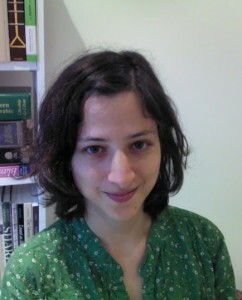 Educated in France, Bray studied Arabic and Persian at Oxford, was an archivist at the India Office Library & Records, and has taught modern Arabic, medieval Arabic literature and Islamic history at the universities of Manchester, Edinburgh, St. Andrews and, since 2003, Paris 8 – Saint Denis, where she is affiliated to the research team EA1571: “Centre de recherches historiques: histoire des pouvoirs, savoirs, sociétés”. She is currently the Laudian Professor of Arabic in the University of Oxford, and a fellow of St. John’s College. Michael Cooperson (Ph.D. Harvard 1994) has taught Arabic language and literature at UCLA since 1995. He has also taught at Dartmouth College, Stanford University, and the Middlebury School of Arabic. His research interests include the cultural history of the early Abbasid caliphate, Maltese language and literature, and time travel as a literary device. His publications include Classical Arabic Biography, a study of four ninth-century celebrities and how they have been remembered; and Al Maʾmun, a biography of the caliph. He has translated Abdelfattah Kilito’s The Author and His Doubles, Khairy Shalabi’s Time Travels of the Man Who Sold Pickles and Sweets, and Jurji Zaidan’s The Caliph’s Heirs: Brothers at War. He is a co-author, with the RRAALL group, of Interpreting the Self: Autobiography in the Arabic Literary Tradition; and co-editor, with Shawkat Toorawa, of The Dictionary of Literary Biography: Arabic Literary Culture, 500-925. Joseph E. Lowry received a B.A. with honors in Germanics and Near Eastern Languages and Civilization at the University of Washington in 1985 and earned J.D. and A.M. degrees from the University of Pennsylvania in 1990 and 1991. After practicing law in Washington, D.C. at Patton Boggs, LLP, he completed a Ph.D. at the University of Pennsylvania in 1999, where he is currently Associate Professor of Arabic and Islamic studies in the Department of Near Eastern Languages and Civilizations. He is the author of Early Islamic Legal Theory: The Risala of Muhammad bin Idris al-Shafiʿi (Brill, 2007), co-author of Interpreting the Self: Autobiography in the Arabic Literary Tradition, Dwight Reynolds, ed. (California, 2001), and co-editor of Law and Education in Medieval Islam: Studies in Memory of George Makdisi (Gibb Trust, 2004) with Devin J. Stewart and Shawkat M. Toorawa, and of Essays in Arabic Literary Biography II: 1350-1850 (Harrassowitz, 2009) with Devin J. Stewart. He has written articles on the Qurʾan, early Islamic legal thought, Islamic legal theory, and medieval and modern Arabic literature. Tahera Qutbuddin (Harvard University, Ph.D. 1999) is Professor of Arabic Literature at the University of Chicago. She has also taught at Yale University and the University of Utah. After school in India, she studied Arabic language and literature in Cairo (Ain Shams University, B.A. 1988, Tamhīdī Magister 1990). Her scholarship focuses on intersections of the literary, the religious, and the political in classical Arabic poetry and prose. She is the editor–translator of al-Qāḍī al-Quḍāʿī’s A Treasury of Virtues: Sayings, Sermons, and Teachings of ʿAlī for the Library of Arabic Literature and the author of Al-Muʾayyad al-Shīrāzī and Fatimid Daʿwa Poetry: A Case of Commitment in Classical Arabic Literature (Leiden: Brill, 2005) and Arabic Oration: Art and Function (Leiden: Brill, 2019), for which she was awarded a fellowship by the Carnegie Corporation of New York and the American Council of Learned Societies. She has also published articles on the Qurʾan, Muḥammad, the sermons of ʿAlī ibn Abī Ṭālib, Fatimid and Ṭayyibī literature, Arabic in India, and Islamic preaching. Devin J. Stewart received a B.A. degree in Near Eastern Studies from Princeton University in 1984 and a Ph.D. in Arabic and Islamic Studies from the University of Pennsylvania in 1991. For the past twenty years he has been teaching various courses in Arabic, Middle Eastern, and Islamic topics in the Department of Middle Eastern and South Asian Studies at Emory University. His research interests include Islamic law, the Qur’an, Islamic sectarian relations, medieval Arabic prose literature, Islamic biography and autobiography, and Arabic dialects. One of his main interests is the reconstruction of texts from the tradition of manuals of jurisprudence or legal theory (usul al-fiqh), and he is translating for this series Ikhtilaf usul al-madhahib (Disagreements of the Jurists: A Manual of Islamic Legal Theory) by the Fatimid jurist al-Qadi al-Nuʿman, a work from the mid-tenth century which preserves significant material from manuals of Islamic legal theory that are no longer extant. Attention to such work as these may help flesh out the intellectual history of Islamic legal theory, particularly the formative period of the ninth and tenth centuries from which so many seminal works have been lost. 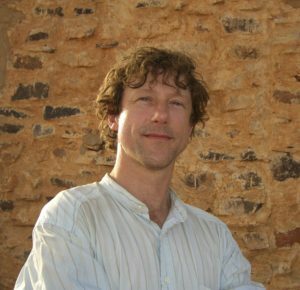 Sean W. Anthony (Ph.D. University of Chicago 2009) is Associate Professor of Near Eastern Languages and Cultures at the Ohio State University. He has also taught the history of the Islamic world at the University of Oregon. His scholarship focuses on early Islamic history and the emergence of the literary traditions and canons of Arabic literature. Among his publications are The Caliph and the Heretic: Ibn Sabaʾ and the Origins of Shiʿism (Brill, 2012) and Crucifixion and the Spectacle of Death: Umayyad Crucifixion in Its Late Antique Context (American Oriental Society, 2015). He is also the editor and translator of The Expeditions: An Early Biography of Muhammad by Maʿmar ibn Rāshid (NYU Press, 2014), one of the earliest biographies of the Prophet Muhammad to survive until modern times. 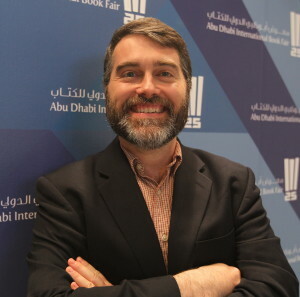 Maurice Pomerantz (Ph.D. University of Chicago 2010) is Assistant Professor of Literature at New York University Abu Dhabi. Prior to joining NYUAD in 2013, he taught Classical Arabic literature at NYU in the department of Middle Eastern and Ilsamic Studies since 2008. Pomerantz’s scholarship focuses mainly on Arabic belles-lettres, its historical contexts, and modern interpretations. His first monograph is entitled, Licit Magic: The Life and Letters of al-Ṣāḥib b. ʿAbbād (d. 385/995) (Brill, 2017). He has also is the editor of two recent volumes in Arabic and Islamic studies, The Heritage of Arabo-Islamic Learning (Brill, 2016), and In the Presence of Power: Court and Performance in the Pre-Modern Middle East (NYU Press, 2017). He is currently working on a monograph that traces the later history of the maqāma genre in Arabic. Chip Rossetti has a Ph.D. in Arabic literature (specializing in modern Iraqi fiction) at the University of Pennsylvania, and did his undergraduate degree in Greek and Latin at Harvard. Before his second career in academia, he worked for a number of years as an acquiring editor at US publishers such as Basic Books, Wiley and Little, Brown. 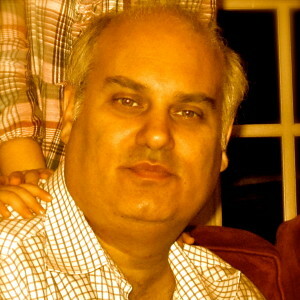 From 2005 to 2007, he was the senior editor at the American University in Cairo Press. His translations include Sonallah Ibrahim’s Beirut, Beirut; Magdy El Shafee’s graphic novel Metro; Ahmed Khaled Towfik’s sci-fi novel Utopia; and Three Poems by Syrian poet Liwaa Yazji (with Samantha Kostmayer Sulaiman.) In 2010, he won a PEN America Translation Fund grant for his translation of Muhammad Makhzangi’s short story collection Animals in our Days. Lucie Taylor holds a B.A. in Arabic and French from Brasenose College, Oxford University. She has studied Arabic in Egypt and Jordan. Before joining the Library of Arabic Literature at NYU Press, she worked in marketing and publicity at Oxford University Press. In between failing as a musician and failing as a linguist, Stuart Brown has somehow managed to make something of a success of digital publishing. He consults with publishers around the world, specialising in multilingual texts. He has worked with, amongst others, Sanskrit, Portuguese, and a dead Australian aboriginal language from the Sydney Bay area (name unknown). He lives in Oxford, UK, and in his spare time travels, plays the piano not as well as he used to, and inches his way ever closer to finishing a PhD on the sociolinguistics of Brazilian Portuguese. Amani Alzoubi is the Fellowship Program Coordinator and Arabic Website Coordinator for the Library of the Arabic Literature. 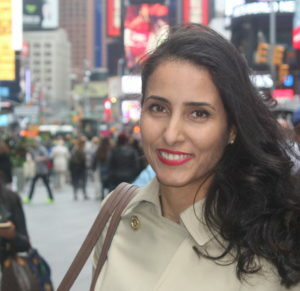 Prior to this, she served as a training and translation executive for a governmental agency in the UAE and has experience in the private sector in the United States and in her native Jordan. She holds a Bachelors degree in French and English Literature and a Masters in Public Administration, both from Jacksonville State University in Alabama. 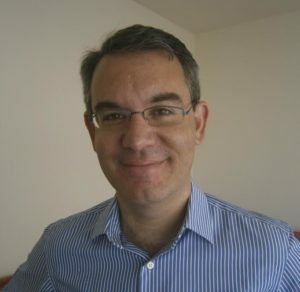 ​Bilal Orfali (Ph.D. Yale University 2009) is Chairperson and Associate Professor of Arabic Studies at the American University of Beirut and previously held the M.S. Sofia Chair in Arabic Studies at the Ohio State University. He specializes in Arabic literature, Sufism, and Qurʾanic Studies. He co-edits al-Abhath Journal and Brill’s series Texts and Studies on the Qur’an. He is the author and editor of more than twenty books on Arabic Studies. 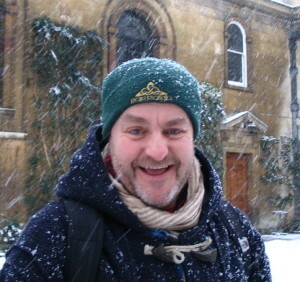 His recent publications include The Anthologist’s Art (Brill, 2016), The Book of Noble Character (Brill, 2015), The Comfort of the Mystics (Brill, 2013), Sufism, Black and White (Brill, 2012), and In the Shadow of Arabic (Brill, 2011). Mohammed Rustom obtained a Ph.D. in Islamic philosophy and Quranic studies from the University of Toronto’s Department of Near and Middle Eastern Civilizations in 2009, and is currently Associate Professor of Islamic Studies at Carleton University. An internationally recognized expert on Islamic philosophy, Sufism, and Quranic hermeneutics, his works have been translated into Albanian, French, German, Persian, Spanish, and Turkish. 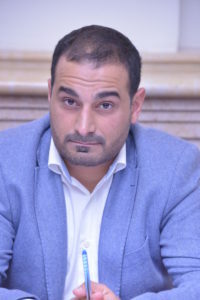 Professor Rustom is the author of the award-winning book The Triumph of Mercy: Philosophy and Scripture in Mulla Sadra (2012), co-editor of The Study Quran: A New Translation and Commentary (2015), translator of Abu Hamid al-Ghazali’s The Condemnation of Pride and Self-Admiration (2018), and author of Inrushes of the Spirit: The Mystical Theology of ‘Ayn al-Qudat (in press). As Library of Arabic Literature Senior Fellow at NYU Abu Dhabi, Professor Rustom will be working on a translation and Arabic edition of ‘Ayn al-Qudat’s highly original work in philosophical mysticism, Zubdat al-haqa’iq (The Quintessence of Reality). Humphrey started life as a translator at the beginning of the millennium, following a career in the Arab World with community development and grant-making institutions. 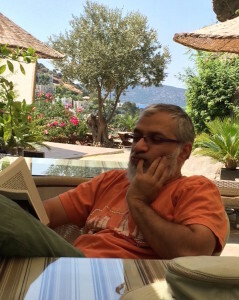 He has previously translated contemporary fiction and non-fiction in Arabic, including works by Elias Khoury, Naguib Mahfouz, Alaa Al Aswany, Bahaa Taher et al, as well as LAL’s four-volume Leg over Leg by Aḥmad Fāris al-Shidyāq (2014), and has co-authored, with Madiha Doss, an anthology in Arabic of Egyptian writings in colloquial, Al-ʿAmmiyyah al-Miṣriyyah al-Maktūbah – Mukhtārāt min 1401 ilā 2009. 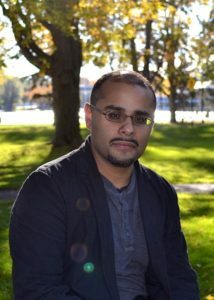 During his 2015 fellowship, he worked on Brains Confounded by the Ode of Abu Shaduf Expounded by Yūsuf al-Shirbīnī (2016) and Risible Rhymes by Muḥammad al-Sanhūrī (Fall 2016). In Darfur by Muḥammad ibn ʿUmar al-Tūnisī will appear in May 2018, and under his Spring 2018 fellowship, he is working on a translation of al-Jawbarī’s Book of Tricksters (edition, Manuela Dengler). Robert Hoyland is Professor of the Late Antique and Early Islamic Middle East at New York University’s Institute for the Study of the Ancient World, having formerly taught at the universities of Oxford and St Andrews. He had published on various aspects of the emergence of Islamic civilization and has also conducted archaeological work in Yemen, Syria, Iraq, and currently Azerbaijan. He is the author of Seeing Islam as Others Saw it (1997), Arabia and the Arabs from the Bronze Age to the Coming of Islam (1999), and In God’s Path: the Arab Conquests and the First Islamic Empire (2014). Marcel Kurpershoek is a Dutch Arabist and diplomat. Among his publications are the five volume Oral Poetry & Narratives from Central Arabia (Brill, 1994-2005), The Short Stories of Yūsuf Idrīs (Brill, 1981), and a travelogue of his fieldwork, Arabia of the Bedouins (2000) that became the basis for the Al Arabiya television documentary series The Last Traveler (in Arabic, 2016). In the Library of Arabic Literature he has published Arabian Satire: Poetry from 18th century Najd by Ḥmēdān al-Shwēʿir (2017). A second volume, Arabian Romantic: Poems on Bedouin Life and Love by ʿAbdallah ibn Sbayyil is scheduled to appear later in 2018. He has served in many diplomatic postings, including as the Netherlands ambassador to Pakistan, Afghanistan, Turkey, and Poland and, his last assignment, as special envoy for Syria. He is currently senior humanities research fellow at New York University Abu Dhabi. He studied in Cairo and at Leiden University where he held a chair in Arabic literature and politics while serving as Middle East and North Africa director at the Foreign Ministry (1997-2002). 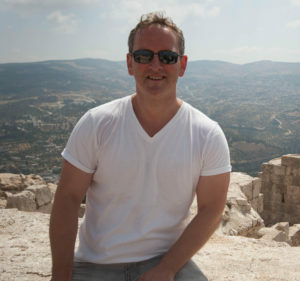 Tim Mackintosh-Smith is a fan of Arabic travel literature, and the author of several books of his own travels. Of these, his trilogy on Ibn Baṭṭūṭah (Travels with a Tangerine, The Hall of a Thousand Columns, and Landfalls) retraces the Moroccanʼs wanderings around three continents. 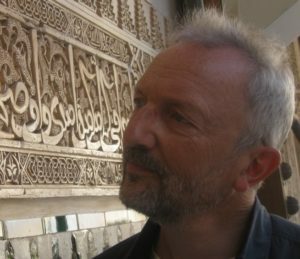 Timʼs work has earned him the 1998 Thomas Cook/Daily Telegraph Travel Book Award and, appropriately, the Ibn Baṭṭūṭah Prize of Honour, awarded in 2010 by the Arab Centre for Geographical Literature. 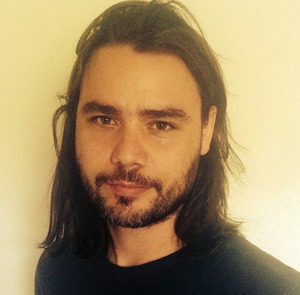 He has also co-written and presented a BBC TV series on Ibn Baṭṭūṭah, described by the Guardian as “marvellous, memorable television.” Tim has delivered the Hamilton A.R. 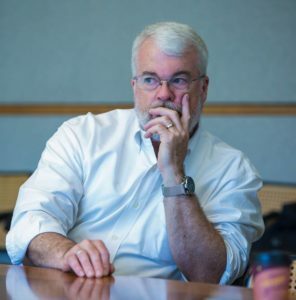 Gibb Lectures at Harvard, and his writing has been anthologized in a number of collections, from The Picador Book of Journeys to The Howard Marks Book of Dope Stories. His next forthcoming book, for Yale, is an overview of almost 3,000 years of Arab history: it “rebalances” that history, seeing Islam as part of it, not the start of it. He is currently at work for the Library of Arabic Literature on a new edition and translation of ʿAbd al-Laṭīf al-Baghdādī’s Kitāb al-Ifādah, an eye-witness account of late twelfth-century Egypt and its devastating famines. Tim is a Fellow of the Royal Asiatic Society of Great Britain. He has been based for more than a third of a century, through thick and thin, in the Yemeni capital Sanaʼa. 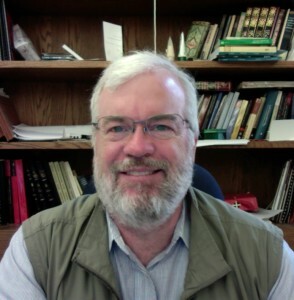 Dwight F. Reynolds is professor of Arabic language & literature in the Department of Religious Studies at the University of California, Santa Barbara. After leaving the U.S. as a high school exchange student to Sweden, he wandered, studied, and worked his way through more than 40 countries before returning to California and completing a B.A. in Near Eastern Languages and Civilizations at UCLA. He obtained his Ph.D. from the Department of Folklore & Folklife at the University of Pennsylvania in 1991. His research and publications deal with Arabic literature, Arab folklore, oral epic traditions, medieval Arabic autobiography, and a variety of different musical traditions of the Middle East and medieval Muslim Spain. He is the author of Heroic Poets, Poetic Heroes: The Ethnography of Performance in an Arabic Oral Epic Tradition (1995), Arab Folklore: A Handbook (2007), co-author and editor of Interpreting the Self: Autobiography in the Arabic Literary Tradition (2001), The Garland Encyclopedia of World Music, Vol. 6: The Middle East (2002), and The Cambridge Companion to Modern Arab Culture (2015). He is currently completing a translation of selected biographies of singers from the 10th-century Kitāb al-Aghānī for the Library of Arabic Literature and working on a book titled The Musical Heritage of Al-Andalus. Michael is Professor of Arabic at the University of California, Los Angeles. His research interests include the cultural history of the early Abbasid caliphate, Maltese language and literature, and time travel as a literary device. During his fellowship in 2016-2017, he will be translating the Maqāmāt of al-Ḥarīrī and working as volume editor on new LAL projects. 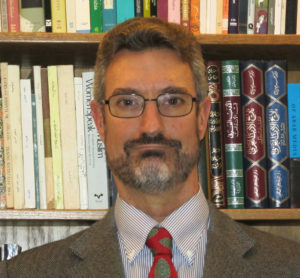 Joseph E. Lowry is Associate Professor of Arabic and Islamic studies in the Department of Near Eastern Languages and Civilizations at the University of Pennsylvania. Lowry is a Library of Arabic Literature Senior Research Fellow for Spring 2017. He is working on an edition and translation of the Taʾwīl Mukhtalif al-Ḥadīth by the celebrated 9th-century litterateur and intellectual Ibn Qutayba (d. 889 CE). The first part of the work offers a critical survey of theological personalities and trends in the ninth century, oriented around attitudes toward traditions (hadiths) from the Prophet Muḥammad. The second part demonstrates a wide variety of literary approaches to the interpretation of individual prophetic hadiths. Lowry is also writing a book that explores the literary dimensions of legal passages in the Qur’an. Lowry edited and translated the Epistle on Legal Theory by Muḥammad ibn Idrīs al-Shāfiʿī, the earliest preserved work on Islamic legal theory, for the Library of Arabic Literature. He is also a member of LAL’s editorial board. 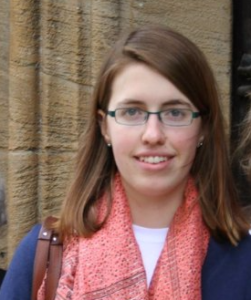 Sophia is a Senior Lecturer and Birmingham Fellow in Philosophical Theology at the University of Birmingham. Her books include Moral Agents and their Deserts: The Character of Mu‘tazilite Ethics (2008), which won the Albert Hourani Book Award in 2009, and Ibn Taymiyya’s Theological Ethics (2015). She has previously held research fellowships at Gonville and Caius College, Cambridge, the Orient-Institut Beirut, and Oxford Brookes University. 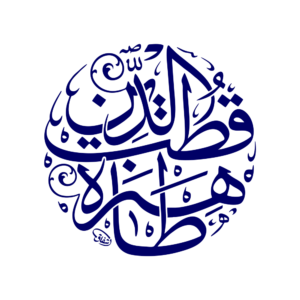 During her LAL fellowship, Vasalou prepared a translation of al-Ḥawāmil wa-l-Shawāmil, a question-and-answer anthology written by 4th/10th century authors al-Tawḥīdī and Miskawayh. Shawkat was Associate Professor of Arabic literature at Cornell University while on Fellowship; he is now Professor of Arabic literature at Yale University. His research interests include literary aspects of the Qur’an, the literature of ninth- and tenth-century Baghdad, modern poetry, and Arabic belles-lettres in South Asia in the 18th century. During his fellowship, he worked on an edition and translation of the Shifā’ al-‘alīl of Āzad BIlgrāmī (d. 1200/1786).